Lock in a great price for Guest House Center Inn – rated 8.4 by recent guests! Although the room was small it was very comfortable and small bathroom was spotlessly clean. Ideal for short break. Out of the 3 hotels we booked in Europe,this one was the comfiest and our favorite for our family of 4.This is considering all 3 hotels are rated the same.It was a good layout,the bathroom was the nicest,the rooms had extra blankets,price was fair, and it was exactly what we were looking for.The staff upfront was very friendly and accommodating.There’s also a restaurant right below with very yummy food so that was very convenient. It was my 4th time in Barcelona and in the same hotel. I definitely like everything there... Location, staff, price, and comfort. You'll find a good place to stay and people ready to help you whenever you need. The rooms have enough space for you (they have different type of rooms and space is different for each type) and if the bathroom is small, I think it has the right space for a pleasant stay. Everything ! Room was tidy, cozy and comfortable with a lovely balcony. Staff was very friendly and helpful. Location was absolutely great with all the seesightings near by. Nice old Building well located near almost everything. Refrigerator help on floor to share. Everyone respected it. Beds comfortable rooms clean. Big bathroom. Great central location, helpful staff, room was small but very clean and comfortable, bonus with its own balcony, access to tea and coffee making facilities and refrigerator in common area was a definite plus. Guest House Center Inn This rating is a reflection of how the property compares to the industry standard when it comes to price, facilities and services available. It's based on a self-evaluation by the property. Use this rating to help choose your stay! 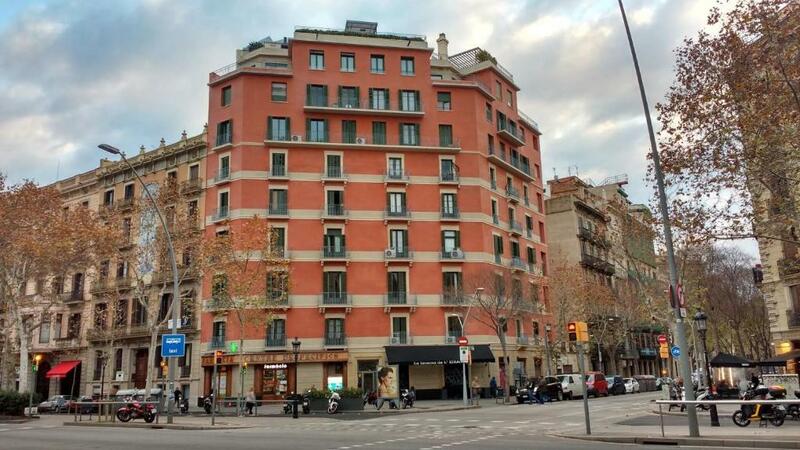 Center Inn offers value-for-money and free Wi-Fi on Gran Vía, in Barcelona’s famous Eixample district. 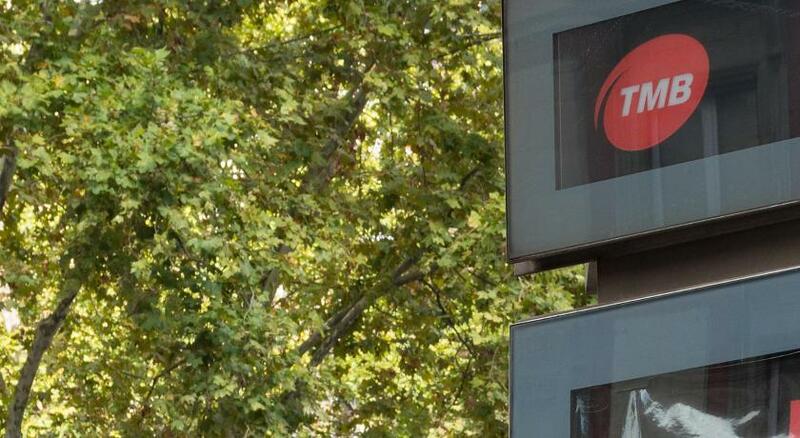 It is set 2,300 feet from Plaça Catalunya and Passeig de Gràcia. The guest house is only 1,650 feet from Nord Bus Station. 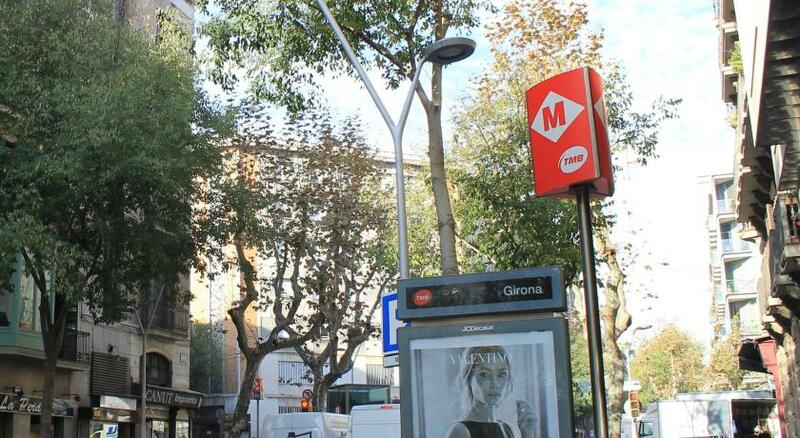 There is easy access to Tetuán and Girona Metro Stations. The guest house is set in 2 historic buildings, just 1 minute apart. They have elegant décor and original features. Center Inn is near many famous Modernista buildings. These include Gaudí’s Casa Batlló and the Sagrada Família. The Gothic Quarter and the Cathedral are also nearby. Some rooms have a balcony or terrace with street views. They have an private bathroom, with characteristic ceramic tiles. 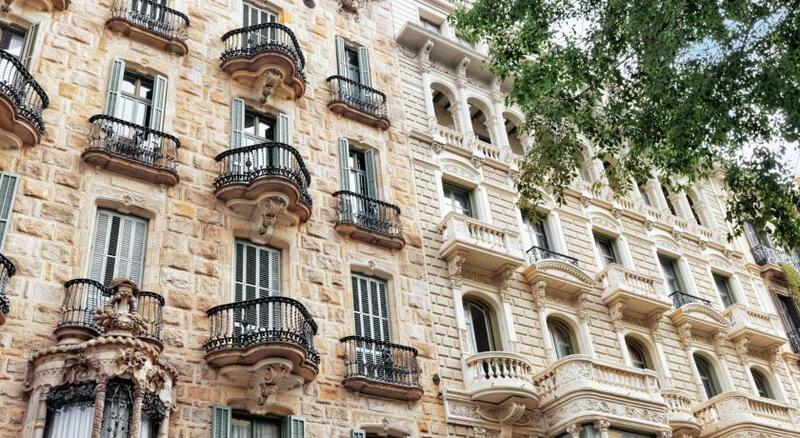 뀐 Located in the real heart of Barcelona, this property has an excellent location score of 9.2! When would you like to stay at Guest House Center Inn? This bright room offers elegant décor and original features, including a private bathroom with characteristic ceramic tiles. Please note that this room is set on the first floor. This bright room has a balcony overlooking the street or a quiet internal courtyard. It offers elegant décor and original features, including a private bathroom with characteristic ceramic tiles. This double room features air conditioning. It is an interior room, with no direct access or view to the street. House Rules Guest House Center Inn takes special requests – add in the next step! Guest House Center Inn accepts these cards and reserves the right to temporarily hold an amount prior to arrival. It was definitely an older building with layers of paint on the walls, cracks in the plaster, and weird functions (like the bathroom door opening in the wrong direction making it hard to get into the bathroom). However, for the price, it was clean and perfectly functional, especially if you are like me and go to see a city not the inside of the walls of a hotel. If you are one to hang about in a hotel room all day, you might want to go elsewhere. Nice that it is within walking distance to many places or to the nearby bus or metro line. Cafe just downstairs of the apt. 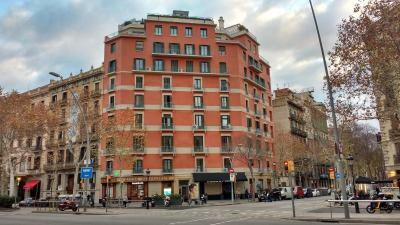 Excellent location if you are staying in Barcelona as a tourist and you want to be within 30 mins easy waling distance (we are over 60 years young!!) of attractions of old Barcelona. Small room but quiet, spotlessly clean, comfortable and fashionably shabby. Good access to transport for trips further afield. Staff were 110% helpful and accomodating. Higly recommended as a place to sleep and use as launching base for your trip to Barcelona. The shower was very small.. The place is very nice, the staff are friendly and helpful, the room was lovely had a lovely little balcony. There was no noise at night, comfy bed. The doors are paper thin, we could hear the cleaners every morning chatting and cleaning other rooms. The bathroom is small, the water pressure is very low. The check-out time is 12:00 according to the card on the reception, but the receptionist lady came around 11:00 to tell us to leave the room until 11:30. When we asked about the card she sad that they had changed the check-out time... quite impolite. The Inn is very close to everything, good price. Staff showed us the locations and how to get to all the major attractions, they were friendly and helpful, the balconies were fantastic, prime location near the centre, I will definitely be staying here again next time I am in Barcelona. Room needs renovation,It looks good only in the photo but NoT really. Room was smelly . Could not sleep well you could hear people talking and cars in the road. The room is large and the bed is very soft. It was close to the metro, many good restaurants nearby. Everybody was nice. We had a balcony so we could drink our coffee there in the morning. Wifi is good. I recommend. Room is a little cramped, and the windows wouldn't shut completely (letting in the winter air) Showers ran out of hot water quickly. Very friendly staff from the receptionist to the janitorial ladies. Bed and pillow were very comfortable for me (not so much for my friend) Quiet and safe. Warm complimentary tea from 8am to 10pm.